Insurance Benefits by Design located in Grand Junction, Colorado is the place to go for all your insurance needs. Whether it be health, life, or other types of insurance, IBBD is here to help. We want to customize insurance to fit you, not the other way around. Give us a call, stop on by, or fill out a form online. We are ready to help you! We provide an array of insurance related services. We are here to help you find the best insurance package for you. We are here to serve you and to make the process painless. We have many different insurance carriers that we go through. We process your information to each one and figure out which package and price is best for you. We have a passion to help you with your insurance needs. We know finding insurance can be a painful and long process. We want to help you get the insurance you need, give you peace of mind, and allow you to minimize the pain you feel along the way. Cindy Petersen is the President and CEO of Insurance Benefits by Design, LLC, she has been in the insurance business for 27 years and formally worked for such carriers as Anthem Blue Cross Blue Shield of Pennsylvania, Consumers Life Insurance and Rocky Mountain Health Plans. Cindy left her position as the agent liaison for Rocky Mountain Health Plans in 2007 to open her own firm. From 2007 to 2010 she specialized in Health and Life and Employee Benefits and in 2010 decided to add Property and Casualty and Commercial Insurance to the firm’s portfolio. Cindy has been an active member of the National Association of Insurance and Financial Advisors since 2004. 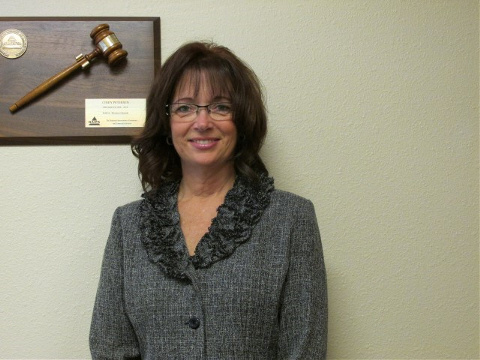 She is a past president of NAIFA Western Colorado and past president of the NAIFA Statewide Local Association. Cindy is the moderator for the Leadership in Life Institute program, helping individuals increase their understanding of self and improved interpersonal relationships. Cindy enjoys assisting her clients with avoiding wealth transfers so that their current and future financial protection will be there when they need it most. Brandy Callaway is your Office Manager and Account Executive for all Employee Benefits with Insurance Benefits by Design. Brandy has been a part of the Insurance Benefits by Design team for 4 years, and has enjoyed developing relationships with current and potential clients. Brandy has lived on the western slope of Colorado for 7 years since graduating from the University of Texas at Arlington, where she earned her Bachelor of Science Degree in Kinesiology. She enjoys spending quality time with her family and friends frequently. Brandy also enjoys being outdoors, whether in the form of camping, horseback riding, or traveling. She also volunteers with many programs, and has been a part of the Read with a Child Program (formerly the 500 Plan) in District 51 since it began in 2011. Brandy is passionate about children’s education and helping children to succeed. Brandy is dedicated to providing exceptional service for all clients, potential and existing. 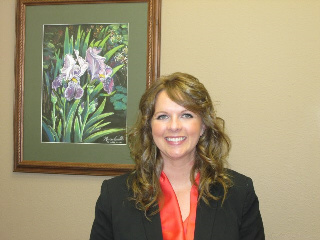 Brandy enjoys working with each client on an individual basis to obtain coverage that is the right fit for each client.